Rupert was handed in to the charity by an elderly lady who had noticed him hanging around her garden. She found out that he had simply been left behind when neighbours moved house. This adorable ginger puss was so friendly but the lady was not able to care for him herself. When room became available, the charity agreed to help find him a new home. After several weeks with us we noticed that he was slowly beginning to loose weight and look in poor condition. A further health check revealed that Rupert had developed diabetes and would require close monitoring and daily insulin injections. 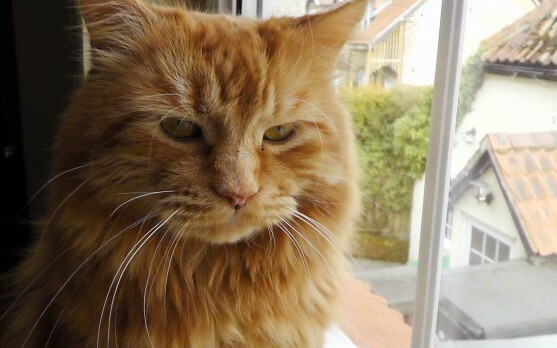 As there was little hope of finding a new home for Rupert because of the demands of his health condition, he has remained at the home of the animal welfare coordinator, along with three other diabetic cats. Since then Rupert has put all his weight back on, and is living comfortably in a loving environment where his health needs are taken care of. Please help support Rupert and the other cats like him who deserve the same second chance of a happy life that any other healthy cat does.